This design is for all the planner girls who love to color! Tap into your creative side and brighten up your note-taking at the same time with coloring sheets. These pages are perfectly sized for your favorite Disc-Bound planner and come already punched! 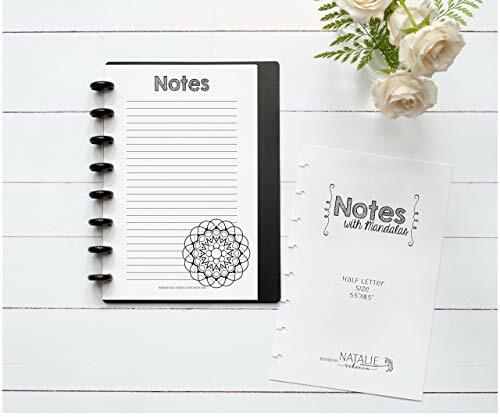 Lists are available in sets of 25 inserts and are printed on premium paper ensuring that they will be a great backdrop for your favorite pens, stamps and washi! All pages are printed black and white- you provide all the color.